5th sentence, 74th page: Not yet. Most vampire stories are kind of dark in some way, shape or form. Whether it’s the blood drinking, but skulking around at night or the (sometimes) ability to turn into bats, there is always an element of darkness to the tale. Not so with this vampire story. It was kind of funny and witty. It threw expectations to the wind and created a whole new form of vampire. Alright, Lil would drive me absolutely nuts, and I’d probably bond better with the dark and twisty vampires better… but this was far more enjoyable to read about. This was one of those thoroughly enjoyable easy reads. There was a bit of a mystery throughout (who the evil kidnapper would be), a bit of romance and a lot of indecision. But, what I loved the most was the humour in the narrator’s voice. 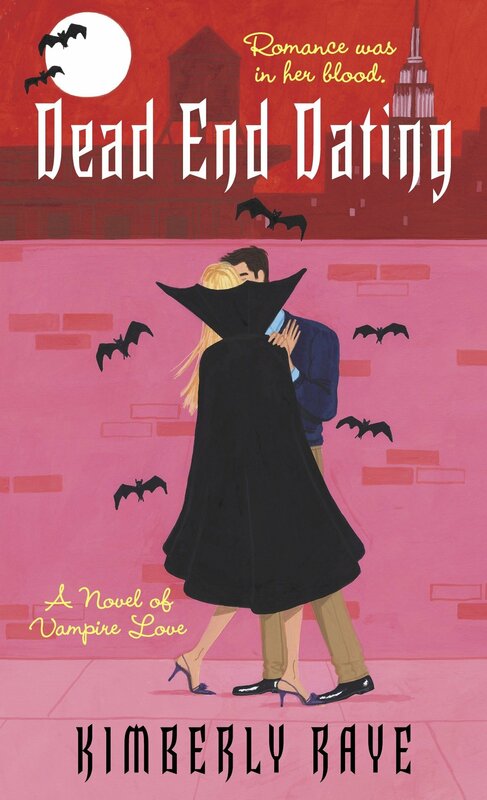 At every turn, fun was poked at common perceptions of vampires and vampirism, providing a far lighter fantasy journey that I have previously read. And now I can’t wait to see where Lil’s shopping problem and penchant for believing in true love will take her in Dead and Dateless.